At eight years old, he says he was chosen by bimhachiiwhasoo, the Life Giver, to bring healing and to help others. Harry Snowboy, a medicine man from the Cree Nation of Chisasibi in northern Quebec, has done something few others in his position have. He’s written a book about his life, and perhaps most interestingly, how he became a medicine man. 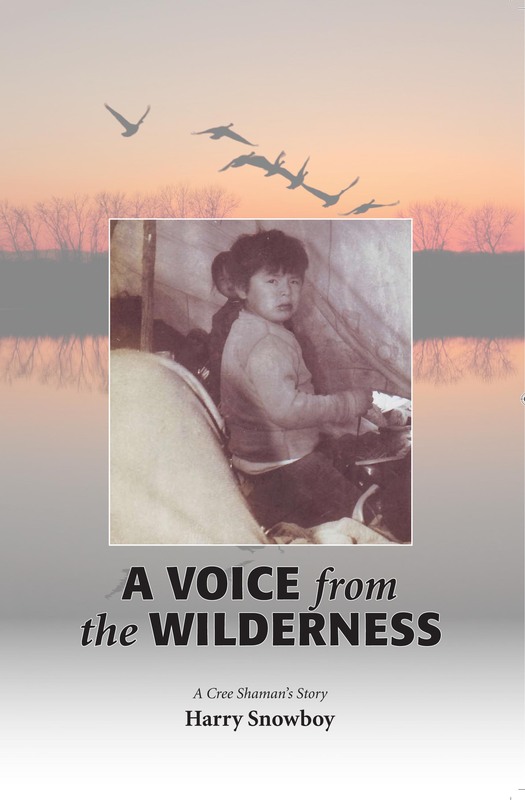 A Voice from the Wilderness: a Cree Shaman’s Story was released in November 2010. An excerpt (pdf) is viewable at the Seven Generations Healing Network website. Snowboy recently sat down with MEDIA INDIGENA to talk about his unique book, why he wrote it, and what’s next. The book was for my own healing. I didn’t realize how much hurt I carried. There were things that happened in my life. I didn’t know why I reacted the way that I did. I wanted to know what was going on. Like everyone else, I went through events in my life that affect my life. It happened one day when I was passing by my daughter’s room and she was writing in her diary. When I saw that, it clicked. In order for me to get to know myself I would have to dig into my own life. What I decided to do one early morning was I started to write. I couldn’t stop. I went as far back my memory goes back — to the day I was born. I began from there. For me it was a healing journey. Were you concerned about writing things that are considered sacred? Yes, I was. In the book I talk about the ceremonies, but I don’t reveal much about them. But there are some things people have to know. People can adopt our culture or our ways, but there’s a connection also given and it was given to where those ceremonies originated from. Have there been any negative reactions to your book? No, I haven’t heard any negative reactions. What are you hoping people can take away from your book? That they will come a little closer. There is another book forthcoming. What will that be about? That book will talk about the rites of passage, the initiation rite. The same rites that I was taken through as a child. I also talk more about the voice, what I call ‘voice,’ about what He is talking about. And I talk about my teachers. This book is more about my work and experiences. « Did a Seattle police officer have to shoot a partially-deaf First Nations man? Very interesting interview, thank you for this! My question would be, do you differentiate between shamans and medicine people and if so, how? I can imagine how difficult emotionally it must have been going through some of the memories. But I can also imagine the growth you have experienced to become the person you are today. A healer, and a role model for your people and anyone else reading your story. And congratulations for that! Thank you for sharing your learnings and lessons! Shamans are a word to describe healers in Siberia who practice their healing ways. Medicine people in North America and Canada are known as Healers by First Nation people as well as medicine people by the general public. Canada’s healers also like to be called Spiritual People because that is what they are about. I had the honor of interviewing Canadian First Nation healers in 1999. This is what they told me. I’ve had the pleasure of meeting Harry Snowboy when he visited First Nations School of Toronto in 2008. I was principal of the school at that time. He is highly revered by the Toronto aboriginal community. Harry directed me onto a spiritual journey through which I discovered my true clan name and my spirit name. Thank you Harry!